Situated within a short walk from Valentinos park in a quiet street to the centre , far from traffic, and the Porta Nuova station. Comfortable hotel completely refurbished, offers a pleasant stay both for the quality of furnishing and the courteous and efficient personnel. Ideal both for business and for leisure. Turin, the city of the Savoy monarchs and heavy industry. A city of rationality, with wide open squares, regularly laid out roads, but also a city of life, with its rivers, parks and enchanting mountains. Suggestive sunsets, majestic domes, sumptuous palaces and artistic and cultural masterpieces. There are a number of different types of room available in order to satisfy the demanding of customers. All our rooms are soundproofed, and some are equipped with Jacuzzis, hydro-massages or saunas. 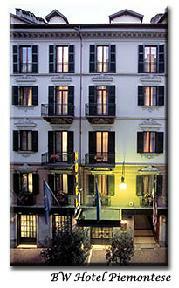 If travelling is the art of discovery, then the Hotel Piemontese will be a pleasant surprise. Built at the end of the eighteen hundreds in the liberty style, this is a superior category three star hotel, located in a quiet street in the historical centre of the city and just 200 metres from the beautiful Parco Valentino and the main shopping area of Via Roma. 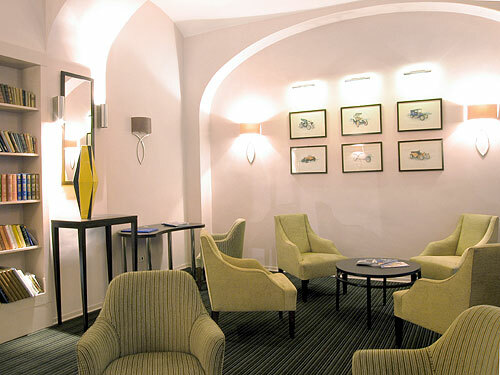 This hotel is the ideal solution for those visiting Turin either for business or pleasure.